Launched in 2014, the WELL Building Standard TM is the world’s first building certification that focuses exclusively on human health and wellness. 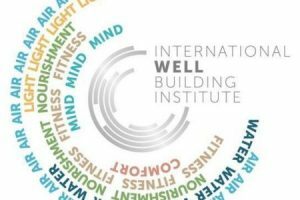 The rating tool, administered by the International Well Building Institute (IWBI) in America, aims to give a single ‘wellness’ rating for buildings. The WELL Standard is an international assessment method that encourages healthy eating choices and active lifestyles, as well as promoting natural light and a high standard of air quality, based on scientific, medical and architectural research. WELL is emerging as the premier benchmark rating for health and wellbeing in the workplace with leading organisations reaping the rewards from investment in comprehensive, holistic health and wellbeing programmes, through increased employee engagement, a more productive workforce and healthier, more resilient staff. In an increasingly competitive labour market, employee retention has become a prime focus for businesses and organisations are increasingly making improvements geared at retaining and attracting employees. It is also predicted that a WELL rating may potentially increase the available rental yield for properties. WELL is the first scheme to grant certification only after a building has been assessed in operation. BREEAM and LEED projects must be designed sustainably, but once in operation many do not perform as designed. With WELL the building cannot be certified unless it meets all the performance metrics in use. There are currently pilot programmes available for schemes covering the following building types: Multi-family residential, Education, Retail, Healthcare, Retail, Public Assembly and Communities. In November 2016, the International WELL Building Institute and BRE announced an alignment between the WELL Building Standard (WELL) and BREEAM. The agreement involves the identification of specific credits which will be recognised by both organisations, resulting in savings in time and money as project teams will not have to submit the same evidence and documentation twice if the development is undergoing assessment in both schemes. At Harley Haddow we have a full understanding of topics covered in WELL through our specialist in-house expertise. This expertise includes experience in designing internal environments that perform in practice. We consider that this experience is essential, as the WELL Standard requires that all buildings undergo performance verification after completion with key parameters performance tested. Our in-house energy team can also offer WELL Building assessment services or provide advice on the route to compliance with the scheme.